Choose where you would like to stay and either click on the map, use the list of geographical areas or click on the initial letter of the town you would like to visit, from the alphabetical list below. 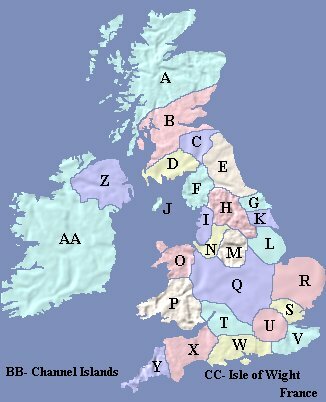 Please note: The UK map above has been divided into 29 areas. The areas do not always follow county or regional boundary lines, and are intended as a rough guide. ...UK and Ireland... Travel and Tourist Information by town...Please click on initial letter..
On each of our town and county pages, there are links to listings of attractions, places of interest, restaurants and local information for each of our areas. To book your accommodation, some of our hotels/guest houses are "book on-line", some are "contact the owner direct". ..NATIONAL PARKS of Britain - Hotels, guest houses and self- catering in areas of outstanding natural beauty in Britain. Euro Relais! - Charming chalet, villa, castle or mill? Country cottage, mansion or farmhouse? Holiday homes all over Europe and book online! ..GOLF COURSES - hotels, guest houses and cottages accommodation offering golf facilities nearby. Advertise your hotel, B&B or self catering accommodation on this site. To advertise your own hotel/guest house on the Innkeeper website, go here for details. Accommodation lists of towns in..